To clear up any confusion baptism and christening are both names used for the same service. Jesus himself was baptised in the river Jordan by John the Baptist at the start of his ministry. 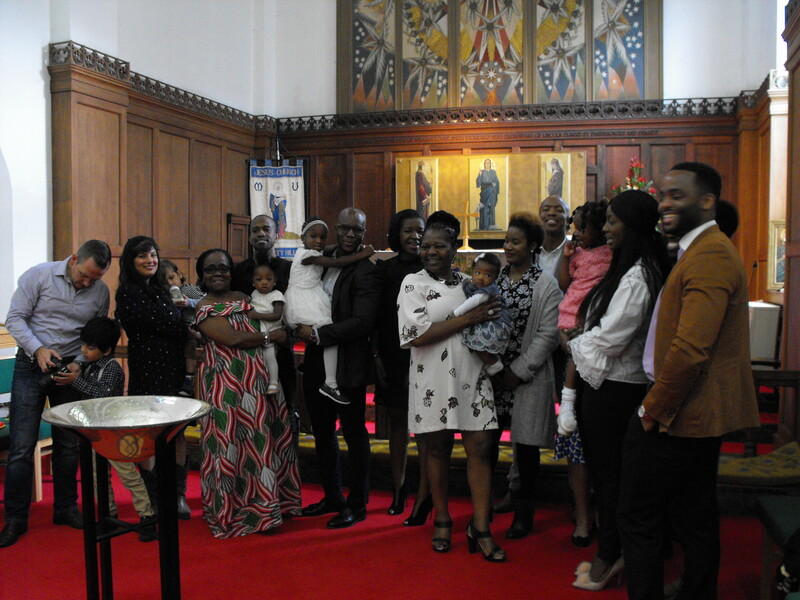 It is wonderful that you are considering baptism for yourself or for your child and we are happy to welcome you and your family at Jesus Church. At Jesus Church baptisms are usually on the third Sunday of most months in the 10.30am service. It is important to speak to our Vicar Ian Crofts at an early stage, before making any plans, to check what dates are available and to make sure there is plenty of time for preparation. Before the baptism you will have 4 preparation sessions with Ian which will be arranged at home or in church to best suit the families involved. At these sessions there will be plenty of opportunity to ask questions and discuss more about faith as well as the practicalities of the baptism service itself. Baptism is the first step to becoming a full member of the church and we hope that children who have been baptised will grow in faith and will later choose for themselves to come and be confirmed by the Bishop. 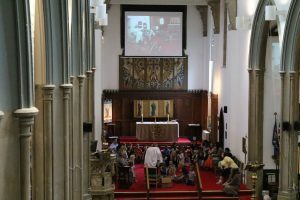 For adults who have not been baptised as children, baptism and confirmation can take place at the same service, also after a time of preparation. Anyone who has not been baptised before who normally attends Jesus Church or who lives in the parish or has a link, eg through grandparents, may be baptised here. It is usual for parents to choose 2, 3 or 4 godparents for their child. Godparents must be baptised – please speak to Ian if you have any concerns before asking people to be godparents. For adults it is normal to have two sponsors instead. Parents and Godparents together promise to nurture the children in the Christian faith and to encourage them by their prayers and their example. There is no charge for baptism but we do take a collection during the service to support the work of the church. You may be interested to know that at Jesus Church we give about 8% of the money we receive to other charities, both local and international. We ask you please not to take photographs or record during the service. We do video record the baptism itself and make it available to the family afterwards. We also leave the font in place so that you can take photographs after the service. Our general policy on photographs also applies more . .